Shawn Mendes Drops New Song “There’s Nothing Holdin’ Me Back”! I have to admit, Shawn Mendes has grown on me. Ever since that acoustic “Mercy” performance he put out, I have a lot more respect for him as an artist. Let’s be real, the verses in this song are boring as all hell, then the chorus starts and you have to bop your head along to it. It’s the Shawn Mendes effect. Verses are just bland, then the chorus kicks in and you’re hooked! Get ready to hear this on repeat on every pop station for the next four months. Do you hate it or love it? Let me know! Posted on April 21, 2017 Categories Celebrities K-ZTags 2017, lyric video, new music, Shawn Mendes, There's Nothing Holdin' Me BackLeave a comment on Shawn Mendes Drops New Song “There’s Nothing Holdin’ Me Back”! Shawn Mendes has come a very long way in the past year and he is commemorating it by releasing an album live from Madison Square Garden. It will drop on December 23rd just in time for the holidays. In order to tease his album Shawn also released a video of him performing his nweest song “Mercy” in an empty Madison Square Garden, it is actually pretty powerful. Shawn’s vocal ability has grown so much and it is great to see and hear. Shawn, boy you be killin’ ’em. Know what the best part of being in a boy band is? You can harmonize with just about anyone. Well that is what I am assuming is one of the perks, and the fact that you’re making millions, but the harmonizing is key. Backstage at the AMA awards, Shawn Mendes and Niall Horan took a minute to do some harmonizing of their own! The two have said in the past that they would love to work together and it looks like as for now, this is the closest we will get to it! For now at least. Also, I will not apologize for this blog being so Niall heavy lately, he is just a sweet baby angel and I love him. 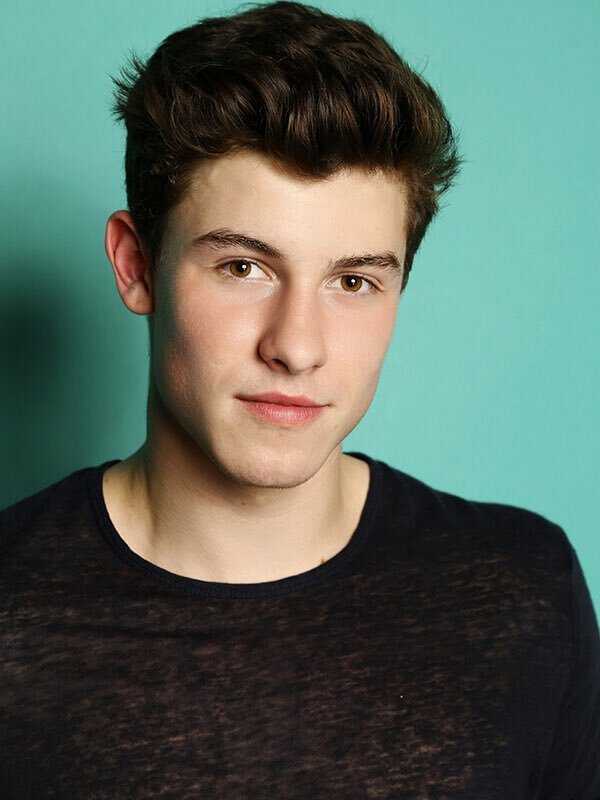 Happy 18th birthday Shawn Mendes, to celebrate you becoming a legal adult, I decided to make you this weeks Man Crush Monday! How exciting, right? For the record I thought Shawn was like 19 with all of the success that he has had in the past few years. You couldn’t turn on the radio without hearing ‘Stitches’, then of course his song with Camila Cabello ‘IKWYDLS‘, and now his newest release ‘Treat You Better’. Even if you aren’t a fan of Shawn’s voice you have to appreciate his song writing ability. 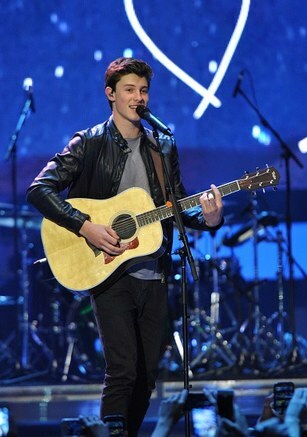 One thing I actually like about Shawn is that he is really talented. He can play multiple instruments, all he needs to work on is stage presence. I think that comes in time though, so he has some years to work on that. So happy birthday and I do think that Shawn will be around for a while. Whether it is from his own singing and his own tracks or writing songs for other people, I think Shawn will be around for a while! Happy Monday and happy birthday! I have said it once, I have said it twice, I have said it one hundred times. I am all about JoJo and her comeback that is happening right now. She is out there doing the radio circuit and just reminding us all what some people seem to have forgotten. She can sing. She can’t just sing though, she can SING! You feel me? In a recent interview with the famous Elvis Duran, JoJo showed off her vocals by singing Shawn Mendes‘ hit song ‘Treat You Better’. Guess what? She slayed it. Like she always does. Her new album is due in October and I am counting down the days until it is released! 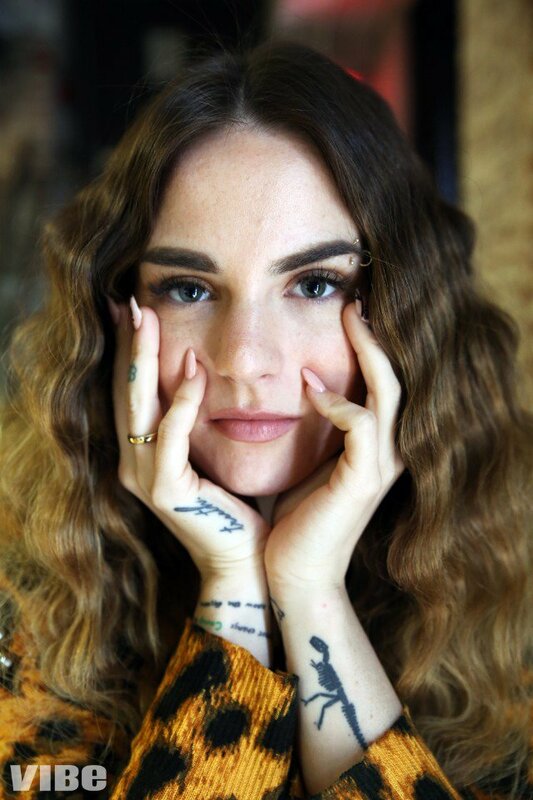 Pop music has been put on notice because JoJo is back in a big way. My favorite cover of hers will always be her cover of ‘Marvin’s Room’, this is a close second though. I have to be real, this is some pretty heavy stuff coming from Shawn Mendes, who I always kind of thought was nothing but someone who played it safe. From his image to music it’s all been safe so far, this video is pretty incredible though. If you don’t want to watch the whole thing I will give you the rundown. His crush is dating a bad guy, Shawn tries to fight the bad guy in order to save the girl he is pining over, but ends up losing. At the very end of the video there are credits for the National Domestic Violence Hotline along with it’s number which is 1-800-799-7233. Pretty heavy stuff for a song that could easily be just another bubble gum pop love song. Great to see Shawn making it into something more though. My take of Shawn Mendes – Treat You Better Wanted to make an emotional piano version with some new chords 🙂 In other news I'm putting Home Alone up on soundcloud next week with a official release later this month. I will be the first to admit it, I am obsessed with Ansel Elgort and it’s probably weird because I am quite a few years older than him. I just think that he is absolutely adorable and extremely talented. He will absolutely be one of the biggest names out there in ten years, I say ten because I like to give people time to grow. Obviously Ansel has been in “The Fault in Our Stars” or “Divergent” series, but I think that he has a lot more to give. Word on the street is that he is going to be releasing some of his own music soon as well! I genuinely like this cover a lot, slowed down, more emotional, pretty amazing. His first official single ‘Home Alone’ will be out later this month according to his Twitter too! Let’s go Ansel, you have an extremely bright future ahead of you! No matter who you are the name Elton John should bring you chills because he is that legendary. There aren’t many singers who can stand the test of time like Elton has. He is an icon, a true icon and we are lucky to say that we lived in a time where he is performing. On Wednesday night Elton and his band played at the Wiltern for a very special and rather intimate concert. Elton decided to bring out some young talent with Shawn Mendes, singing “Tiny Dancer” with him and the queen Demi Lovato singing “Don’t Go Breaking My Heart” with her. For more on the show check it out here! Unfortunately there will probably be readers who are only here for either Demi or Shawn but let me tell you something. Go to Youtube and listen to some of Elton’s songs, you will love them. I promise you that. Check out the videos of him singing with both Demi and Shawn! It has been quite the year for music, that is for sure. Some of the music has been awful while other music has been absolutely incredible. It is crazy to think that 2015 is already almost over! So let’s take a look back on all of the top songs of 2015. Well the top 60 songs, I figured that gave everyone a chance. Basically I looked at the Billboard list, picked what ones I liked, what ones I didn’t and then did my own list. So yes, this list is bias towards my personal feelings about songs and artists. To add a bit more substance I decided to write a little summary about the song to go along with it! When you get to the end there is a playlist with all of the music videos in case you want to check them out too! Every year there is a song that comes out which makes drunk girls at the club act like they know exactly what they are doing. That is what this song is. Although this song was released in 2014, Nick Jonas wanted to let the whole world know that he was no longer a teenager in a band with his brothers. He is sexual and has an incredible voice all on his own. We get it loud and clear sir. This song should have been on the radio but never ended up on the radio and would have been if The Weeknd didn’t take over. Jason Derulo gets really sexual. If you were to take a shot every time he says the word “me” in the song, you would be wasted by the second chorus. Easily one of my favorite country songs but unfortunately it didn’t peak as high as other songs on the list. Michael Ray an absolute babe, I am serious, look at him and fall in love, his voice just makes it better. Let’s be real, everyone who lives in a small town can relate to this. No one wants to pull up to a red light and see their ex next to them. Sam hit the nail on the head with this song. Andrew wrote this song for his daughter which I thought was the most adorable thing in the world. The only thing is that it took a while to grow on me. For a while I thought it was a humble brag song, but he wrote it to his daughter so that makes it adorable. Plus Andrew McMahon is a genius. I know this song should probably be higher on the list but Ariana Grande is the worst. Her voice is so talented but she seems so awful. It is genuinely hard for me to enjoy her music because of her personality. Anyone else? Oh Big Sean I love you so much and this song is so good to rap when you are angry. I just don’t really like anyone else’s verse. Maybe that says more about me than the actual song but it deserved a spot on the list for sure. This song is so repetitive it makes me want to punch a wall but it is also so catchy it makes me want to sing while I punch a wall. “Day drunk into the night” is one of my favorite lyrics of the song. This song was a smash hit though but when I was putting together my list it came to me pretty late, so it obviously didn’t make a huge impression. This song is another one that I kind of hated but also kind of loved. I know that after a few shots when this song would come on I would sing it like it was my own personal anthem. I have a feeling that they are the new Imagine Dragons, be ready because 2016 they are going to be all over the place, I promise. Shawn Mendes is basically a brunette Justin Bieber but he plays guitar with every song he sings. His voice is a bit chipmunk for me but I could sing along with this song. Maybe when he gets a deeper voice it will all even out. I don’t understand how everyone thinks that his voice is so much more mature. He literally sounds the exact same, the only difference is that he has a beat behind his music now. Listening to Justin Bieber apologize for 3 minutes isn’t my favorite but out of all of his singles, this is by far the best one. If this song wasn’t released in the winter it would have been a huge hit. I swear that Charli and Rita sound incredible but this is more of a summer song than a winter one. Bad timing on the release for this one. Let’s be real, this song made some serious history. Who would have ever thought that the legendary Sir Paul McCartney would be on a track with a hip hop artist and a rapper? I mean I think this song was very underrated because of how different it was. Some how Paul, Rihanna, and Kayne made this song work! I understand that everyone is obsessed with Chris Stapleton and for good reason, he is a great artist! I just feel like the music industry is forcing him down our throat a bit. None the less Chris shows off his amazing vocal skills in this song, it is truly awesome. This is just a start of Missy’s comeback so I am excited. Of course this isn’t her best song ever but it is a preview of what is left to come and I am personally very excited. Out of the few Sam Smith songs I know this one is by far my favorite. His voice is almost heartbreaking but Dianna Agron is in the music video and she is flawless. I swear for the past few years Fall Out Boy just keep reinventing themselves and I absolutely love it. This song was so amazing, a great first single to have off of their album. I prefer this over ‘Uma Thurman’ every day and twice on Sundays. I know that people are going to be upset that this is all the way at 40 but this song is so repetitive it hurts me. I mean Selena sounds great but the song is like seven lyrics and that is it. I prefer a little substance with my music. At least it has a beat I can mindlessly dance to. If you haven’t heard this song stop and go listen to it. I wish I put it in the top ten but it didn’t get the radio plays and it didn’t chart like it should have. Colbie Caillat makes me feel so good about myself, this song is easily one of the most inspirational ones of 2015! I personally like this song better than ‘Hello’ but it again hasn’t had enough time to become a mega-smash. Give it two weeks and this song will be on every single radio station out there. Also it will make you cry harder than ‘Hello’ did, just a heads up. The political undertones of this song are absolutely incredible. This song is probably one of the most powerful songs of the year. I don’t understand why Kendrick doesn’t get the radio play that he deserves. Probably because he has opinions and the media doesn’t like at all. I would recommend watching the video, he is a true visionary. I feel like we have been missing something, I mean John Mayer hasn’t put out music for a while, so Vance Joy stepped up. The chorus is just so easy to sing along to and anyone who sings about being afraid of the dentist is talking some truth. The dentist is the worst. I love this song, I can’t even lie but Taylor put out so many good songs this year. ‘Style’ is basically an ode to Harry Styles and their failed relationship. It is a great song don’t get me wrong, just not her best out of the singles she had released. Remember how I talked about repetitive songs this year? Welcome to ‘Confident’ by Demi Lovato. The only thing that saves this song is that Demi is an incredible singer. She could out sing all of the female artists in her age range, that is a fact. Also Demi there is nothing wrong with being confident, don’t worry. Shawn is back on the count down but this time he is with Camila Cabello of Fifth Harmony. Also known as the Beyonce of Fifth Harmony. If you haven’t heard this song go listen to it. I think it showcases Shawn’s voice much better and Camila is flawless, that is all. I am obsessed with Halsey, her voice is incredible. It is as if Lana Del Rey and Lorde had a love child or something. ‘New Americana’ is probably her weakest song on the album Badlands but it is also the most marketable so I understand why it was chosen as her first single. Seriously if you have a minute go check her out on Spotify then buy her album, she is incredible. A love song that Rob Thomas wrote about his wife? There is nothing that could possibly be wrong about this song. I have loved Rob since Matchbox 20 and I will continue to love him. This song is beyond sweet and is a great dedication to his wife. It is refreshing to hear a song with actual lyrics. Rob Thomas’ voice is timeless. I want this to be my wedding song. Thomas Rhett is easily one of my favorite country singers of all time. He is still fairly new to the scene but his music is so good. Whenever I listen to this song I get chills. Having barely any music to go along with it so it is just his voice, it is so beautiful. Again it is refreshing to hear a song with thought out lyrics. Can’t even lie I liked this song a lot more before I watched Charlie and Meghan make out at the AMAs. Such a catchy song though, you can’t deny that. I have to admit I think if this song wasn’t so insanely overplayed I would love it a lot more. This song has such a great message and I absolutely love Rachel Platten but the radio kind of killed it, plus it was in a bunch of commercials. I do love that so many people struggling can relate to this song though! Sometimes you just have to put your head down and keep going. I am obsessed with Tori Kelly and I am sure that she has a big career ahead of her. Tori is insanely talented and has been doing her thing for the past five years now she is nominated for a Grammy, she is the real deal. Back to the song though, the lyrics “still got a little flame for ya” would absolutely be in my AIM profile. I am pretty sure that the video is one of the reasons people got so sick of Taylor Swift this year but I genuinely don’t care. The song is a lot of fun, I think that her squad is pretty hilarious too. Who would have thought that Hailey Williams, Jessica Alba, and Kendrick Lamar would all be in the same video. Pretty sure I am the only person in the world that doesn’t really like this song. I do like to say “hey what’s up hello”, so I guess something good did come from the song. I also learned what a trap queen was, so that is a fun thing to call people now. If you haven’t heard this song I suggest you go and listen to it now. Every time I hear this song I tear up. No seriously, go listen. Let’s be real, The Weeknd absolutely took over the charts this year, this song being one of the biggest of his songs. I like to think that everyone things that they can sing to this song and also dance to it. This song is allegedly about a love affair with cocaine but hey if it sounds good that’s all that matters! I liked this song the first time I heard it but by the 400th time I had enough. Every year Andy Grammar comes out with a crazy catchy song and this year it was ‘Honey I’m Good’, I wonder what it will be next year. I wish I could tell my girls of Fifth Harmony that they didn’t need Kid Ink in their song at all. They would have been much better off without him. I am worried because I love this group, they are the best girl group in recent history but there is too much talent. When there is too much talent there is a power struggle which means a break up. It worries me. Can’t lie once Zayn ditched One Direction I liked their sound so much more. They no longer catered to his voice instead everyone sang, which is a nice change of things. This was their big f u song to Zayn in my opinion. Like hey you left but we can still make great music type of deal. This song depresses me, I know that is a weird thing to say because it is a love song but Ellie’s voice sounds so helpless. When she sings ‘what are you waiting for’ it just breaks my damn heart. Yes, another Nick Jonas song because he is so sexual. He wrote this song because he got jealous when guys would check out his then girlfriend. Nick really came into his own this year and I know that 2016 will be an even bigger year. Jonas is better than Bieber, yeah I said it! J. Cole is my absolute favorite rapper. He wrote this song for his mom which is a great way to pay respect. I do think it is weird that he rapped about getting dome in a song dedicated to his mom but hey whatever! Seriously though, if he doesn’t win a Grammy this year I am going to riot. This song has by far one of the strangest music videos attached to it but the song is amazing. Sia explained that it was about being so addicted to something bad that it controls your mind. Honestly I am so glad that Sia decided to sing her own songs instead of giving them to other people. I also love that I really don’t know what she looks like, keeps the mystery alive! This song simply has a great beat to it, and I can’t it for that. I liked this song better than ‘Anaconda’, that’s for sure. I think Nicki sounds absolutely on point for this song. I think that everyone had the same exact thought when this song first came out. Damn, Selena Gomez is all grown up. My ultimate girl crush Demi Lovato singing about having a lesbian experience, I can deal with that. I genuinely believe this was the biggest country song of the year. I am ready for people to tell me that Sam Hunt isn’t country but guess what, country music recognizes him so you have to as well. Sam was a song writer for a long time but finally he decided to let everyone see his pretty face and listen to his amazing voice. God bless whatever made that decision happy. Riley Curry sang this is one of Stephen Curry‘s post game interviews, is there anything more that you need? Big Sean goes hard in this song, Drake goes hard on this song, Kanye West is actually rapping not yelling about he is Jesus, so that is always a plus. Put this song on and you can’t be in a bad mood, that is a fact. Hozier really did take everyone to church with this song. Apparently this song came out about three years ago but didn’t get big until this year and all I can say to that is finally! Hozier’s voice is so haunting and so amazing I could listen to it all day. I hope we hear a lot from him because he deserves the attention he gets. This song broke records for being at number one for so long. It may not have been my favorite of the year but you have to give respect. Wiz and Charlie killed it on this song. Charlie and Wiz actually cowrote the song together and it is nominated for a few Grammys, I hope that they win at least something for this song, it absolutely deserves some love! This was by far my favorite Weeknd song of the year. I mean he is seriously incredible. Right when this song was released it basically went right to number one. There are also two remixes out there featuring Eminem and another featuring Nicki Minaj that you should check out. Do I really need to go into detail? This song was released in November and was easily one of the biggest songs of not only the past year but two years maybe? Adele can do no wrong and anything that she sings turns to gold, literally. Gold or platinum, either or, whatever she sings, that’s what it becomes. This is the song that made every girl want Ed Sheeran to be their husband, that’s a fact. Even if you hate this song you still sing along to this song, don’t even lie! Everyone sings along to this song and tries to copy Drake’s impressive dance moves, if you haven’t done it you haven’t lived. This is the only song I wanted to listen to all summer. It is so different and has such an awesome vibe it almost makes me wish I was born when funk music was at its peak. Bruno Mars can really do no wrong though, he is beyond talented. Taylor is out there laughing and making fun of herself because everyone thinks that she is crazy. Then she probably is crazy but is laughing about it so people don’t think she is as crazy. Taylor Swift, you are incredible, please let me join your squad. If you haven’t had a full on dance party to this song are you even living? Please don’t let this band be a one hit wonder but if this is their only hit, they made it a great one. So there you have it! My list of the best 60 songs of 2015! Tell me how you like it (or hate it) on the official Celebrities Are Tragic facebook page or @WilliKilliams!